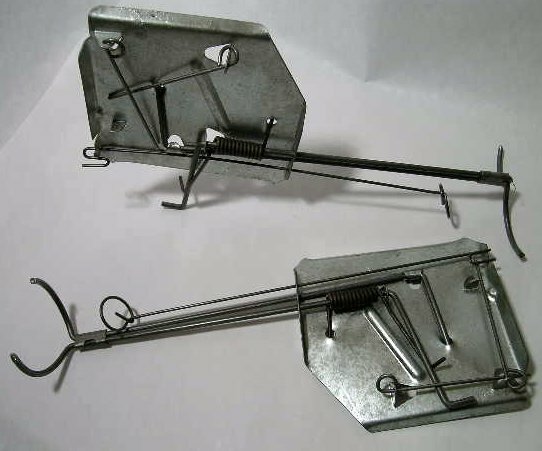 PRODUCT DESCRIPTION: Trap which relies on crushing target animals (gophers, moles, voles, etc.) by squeezing them on their sides. Choose from two sizes available. Gophers typically need the large trap but young animals or other species may require the smaller scaled down version. WHERE TO USE IT: Down burrows and along lateral tunnels. Be sure to secure it as predators finding it with animals trapped will readily dig it up and steal the animal along with your trap! RATE OF APPLICATION: As many as possible along tunnels known to have current activity.